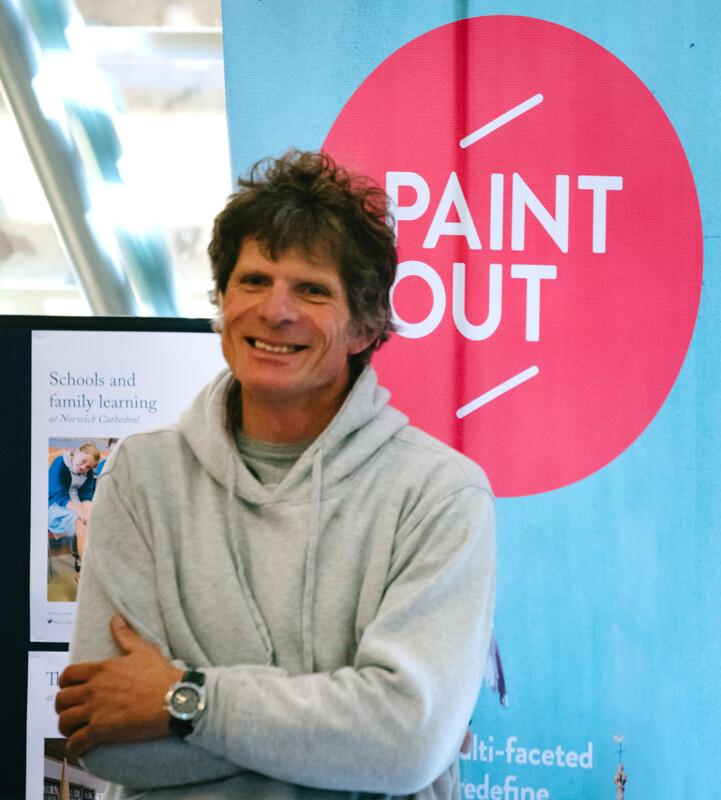 James Colman is himself an artist and co-founder of the Paint Out (2014-) project and a former London gallerist between 1992-2005 specialising in International Contemporary and Modern British Art. His subsequent curatorial range has included landmark Outsider and Visionary exhibitions such as: “New Outsiders” (2000), “Wanted Dead or Alive” (2002), “It’s Cold Outside let Me In” (Prague Biennale, 2005) and “Refusing Exclusion”, (Prague Biennale, 2007). Nearer to home in Norfolk he has also curated two Colin Self exhibitions: “New Work” (Post 1990) and “Collage” (2006) at The Mayor Gallery in London. He was also guest curator at Salthouse ’07 with “Spirit of the Age”. 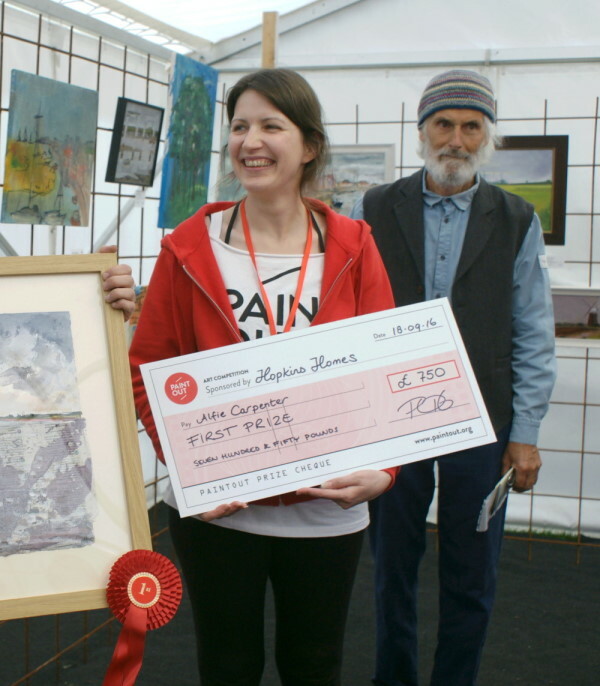 James was a judge at the Spirit of the Stour, Munnings open air art event in 2018. He is a passionate plein air painter working in both Oil and Gouache and recently showed during the 2016 Holt Festival. Also in 2016 he took part in ‘Blakes Outsiders’ curated by Delaine le Bas as part of a touring group show to celebrate the life and work of William Blake at The Worthing Museum and Art Gallery in West Sussex. He is also co-founder of artist collective Group 8. Katy Went is the Creative Media Manager, and a whole lot more, for Paint Out. Whilst her background is in Economics, Languages, Technology and Photography, she has become a public speaker, activist and writer on diverse subjects from the arts to human rights, equality to politics, and mental health to entertainment. She reluctantly gave up art at school after O levels, despite a love for it, but was fond of pencil, pen and ink, and calligraphy on vellum. Her parents were both amateur artists, yet, like their parents before them, encouraged her to get a “proper job” – like that ever works! She released her creative streak through writing and an ongoing passion for photography with a particular love of photographing graffiti, urban architecture, rust & decay, and cities by night. She now runs Paint Out’s web, social and visual media, and helps come up with creative ideas behind each year’s events, as well as taking hundreds of photographs and writing copy. She now collects the art of emerging artists with a special interest in political art. She also runs Art Exhibitions UK and has her own art blog. Originally from the Netherlands, Esther Lemmens is a graphic designer and branding consultant with a love of Japanese food, culture, and Origami. She is a visual and verbal pedant, and design perfectionist! She is a fountain of knowledge on fonts and it could quite easily be her specialist subject on Mastermind! She also loves calligraphy. She ensures we stay on brand, creating our adverts, banners, print and promotional materials, merchandise range, and also coordinates the systems for our art exhibition logging and labelling. 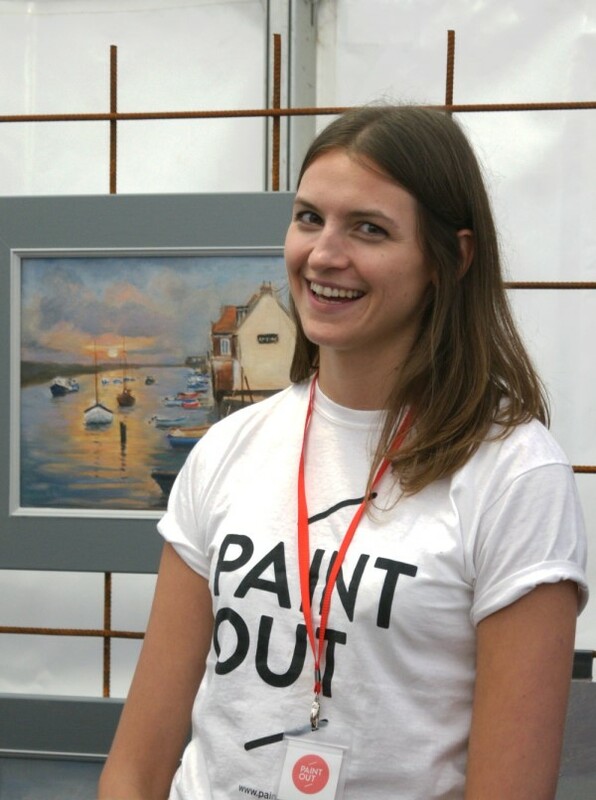 Sarah Young joined Paint Out in 2018 and helped make Great Yarmouth’s first event happen as well as bring her gallery expertise to the main Paint Out Norwich event. Olivia Brotheridge was Visual Arts Coordinator for Paint Out in 2016-17. She is a designer and illustrator and also loves to encourage other people to be creative through arts and craft events. After studying Illustration at university, where she spent a lot of time experimenting in the printrooms, she then moved to London where she worked for the dynamic arts charity The Big Draw. After gaining some gallery experience, she settled for 2.5 years in a branding consultancy. She now lives on a farm in Norfolk where she has set up a design studio, to practice her art, as well as run workshops and events. 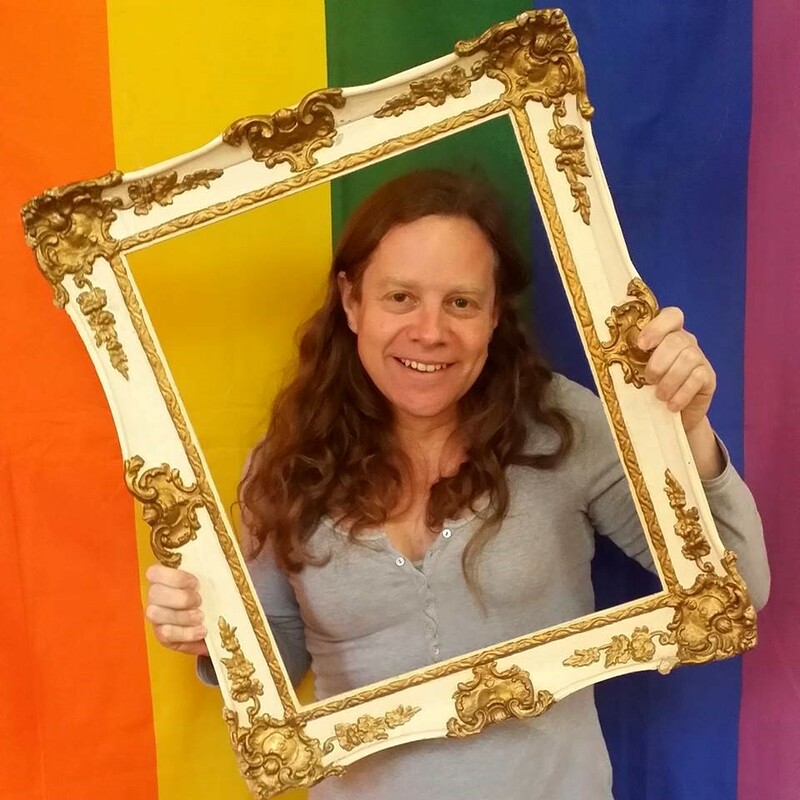 Stephanie Sinclair was Visual Arts Coordinator for Paint Out 2015. She is an art historian with over ten years of experience in the development and delivery of arts and cultural events. She co-organised theMid-America College Art Association Conference held in Detroit in 2012, while her curation work includes contemporary ceramic exhibitions: Polemical Clay (2005), Domesticizing: Interior/Exterior Relations (2007) and Neil Forrest’s Wurzelwerk (2004). As the past Assistant Director of Development for the College of Liberal Arts and Sciences at Wayne State University, Stephanie is well versed in fund development for cultural initiatives.